Reports From The Pharm: Honesty REALLY is the best policy! Honesty REALLY is the best policy! Towards the end of the day last week, I was looking for a particular application and ended up getting sucked into a bunch of old files -- but not just any files -- these are "special files." It's pretty fascinating to read through some of these files -- all sorts of crazy stuff appears. It used to be easier, I suppose, to falsify or alter documents (specifically transcripts); however, since the introduction of PharmCAS (and the transcript verification process), I don't reckon that happens anymore. [Off topic: I think that may have been the very first time I've ever used the word "reckon" in the written form. It sounds like cowboy talk. I am not a cowboy so I'm not sure what inspired its use.] 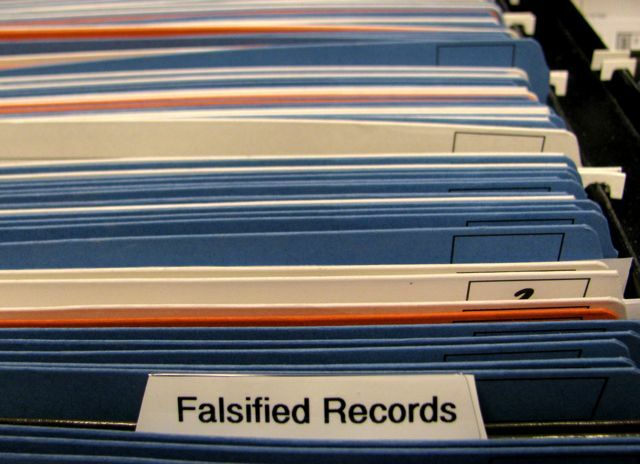 These days, most of the falsified documents deal with inaccurate reporting of information or exaggerating experiences, hours and/or time lines. It's pretty easy for us to verify this stuff by making a few phone calls and putting pieces together. Please be aware that your admission essay may be subject to submission for textual similarity review to Turnitin for Admissions for the detection of plagiarism duplication and other potential violations of the applicant code of conduct. All submitted essays and other materials will be included as source documents in the Turnitin for Admissions reference database solely for the purpose of detecting plagiarism of such documents. This new addition to the process should prove to be quite interesting! Every year, I get notified (several times) by PharmCAS that an applicant has violated the Applicant Code of Conduct -- which prevents them from applying to schools that participate in the PharmCAS application process. As we begin the new cycle, I spent some time reviewing the code and decided to share it below. The wording is pretty strong but given the high expectations of this profession, it's totally appropriate. Once admitted to a professional pharmacy program, students are considered to be members of the pharmacy profession and therefore bear the responsibility to adhere to the professional, ethical, and legal standards prescribed for the practice of pharmacy and their college or school of pharmacy. The ethical and legal responsibilities of student pharmacists are typically reviewed during orientation to the professional program and throughout the time the student is enrolled in school. Applicants to pharmacy schools, although not yet members of the profession, are likewise bound to legal and ethical standards of behavior during the admission process. Colleges and schools of pharmacy are encouraged to admit applicants with “a high level of professionalism or professional potential” *. The Applicant Code of Conduct provides an explicit statement of applicant responsibilities and expected standards of performance and behavior. Applicants must electronically sign a copy of the code of conduct, signifying that they have read and agree to accept the code’s provisions. It is drawn from the ethical principles of the Code of Ethics for Pharmacists. Misconduct, as defined in the Applicant Code of Conduct, and all forms of dishonesty, will not be tolerated in the application process. Colleges and schools of pharmacy will determine whether an applicant has violated the Code of Conduct and whether sanctions should be imposed. Sanctions imposed by the institutions include, but are not limited to, revocation of application, or sharing information with admission committees about the applicant’s behavior. Any applicant found to have violated the principles of conduct risks losing the privilege of applying to or entering the pharmacy profession. Conduct violations will be communicated to all schools and colleges of pharmacy in the U.S. as well as other health education associations. The following section describes the principles that are the foundation of the Applicant Code of Conduct. The discussion that accompanies each principle is not intended to provide an exhaustive list of all possible situations or examples that may be considered to be violations of the Code. Act with honesty and integrity throughout the admission process when interacting with school admissions officers, admission committees, and PharmCAS staff. Integrity is an obligation that requires each applicant to provide information honestly. Applicants must not falsify information (for example, make a false claim to be an officer in an organization, falsify work experience, or provide altered transcripts). Applicants must also reveal information about previous legal offenses pertinent to admission to a professional program (for example, previous felony convictions or drug or alcohol offenses). An applicant should accurately represent herself or himself to staff and others during the admission process. It is inappropriate to contact admission staff to inquire about an application claiming to be someone else. Respect the knowledge, skills and values of those involved in the admission process, including the faculty and staff at schools or colleges of pharmacy and PharmCAS staff. It is unacceptable for an applicant to disparage the competence, knowledge, qualifications, or services of faculty and staff involved in the admission process. It is inappropriate to imply in word, gesture, or deed that an application has been poorly managed or the applicant mistreated by a staff member without tangible evidence. Professional relations among all members of the admission committees at schools of pharmacy, PharmCAS staff and applicants should be marked with civility. Thus, slanderous comments, uncivil language and abusive behavior should be avoided, and each person should recognize and facilitate civil behavior among all involved in the application process. Respect the autonomy and dignity of fellow applicants, admission staff, college or school faculty, staff, and students, and anyone involved in the admission process. The applicant should use the highest professional courtesy when interacting with fellow applicants, admission staff, college or school faculty, staff, and students, and anyone involved in the admission process. Offensive or threatening comments via e-mail or voice mail messages or any other form of verbal or nonverbal communication will not be tolerated. Inappropriate behavior includes the use of language, gestures, or remarks with sexual overtones. Applicants should maintain a neat and clean appearance, and dress in attire that is generally accepted as professional by faculty and staff during their interview and when meeting with anyone to discuss admission to a professional pharmacy program. Be responsible and accountable for my actions and personally manage and respond to all matters related to my application. Applicants to the professional pharmacy degree program must demonstrate responsibility by taking ownership of all aspects related to the application process. Applicants are expected to review application materials from PharmCAS and schools and colleges to which they apply. It is the applicant’s responsibility to meet deadlines, provide information as requested, and follow the admission process for each school or college to which they apply. Applicants, not PharmCAS, are responsible for promptly correcting any errors or omissions identified in the applicant’s file. Applicants are expected to respond to constructive feedback from admission staff and faculty by appropriate modification of their behavior. If an applicant has a question about the pharmacy admissions process after exhausting all available online and printed resources, the applicant should contact the appropriate PharmCAS or pharmacy school admissions office directly for clarification. Staff will not discuss an application with an applicant’s parent, spouse, relative, friend, or employer regardless of who submits the fee payment. The PharmCAS fee payment does not relieve applicants of the obligation to properly submit all requested data and application materials by the deadline. Applicants who have not been accepted may consult admission staff to learn how they may correct deficiencies in their application or academic performance or seek to learn more about admission criteria for schools to which they may apply, but should remain respectful of decisions made by those involved in the admission process. Great post! 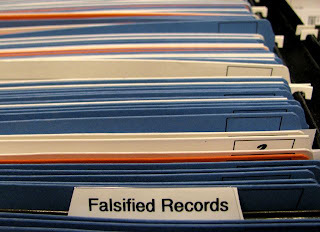 It's disconcerting that some individuals produce applications that are falsified. Pharmacists are trusted by the public to disseminate vital information where honesty is paramount. Glad that the admissions team is diligent in recognizing falsified materials. Why do people need to plagiarize essays about themselves? Do they not know themselves?